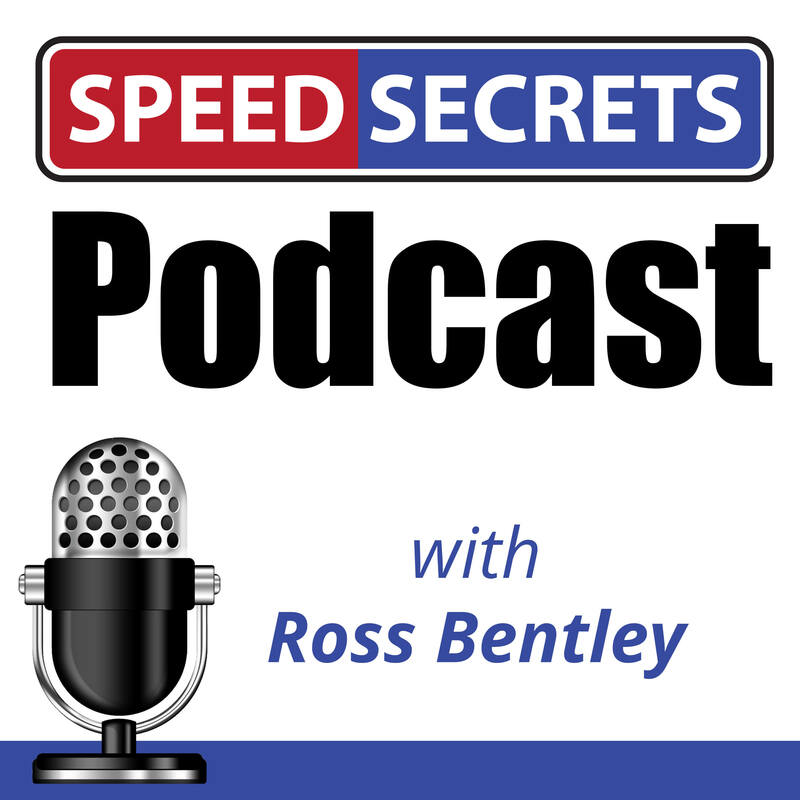 The Speed Secrets Podcast is all about high performance and race driving. In it, I have conversations with guests, resulting in tips, advice, and inspiration you can take to the track. Guests include drivers of all levels and types, engineers, coaches and instructors, safety experts, race officials, HPDE event organizers, and anyone else who can help you drive better and have more fun. Each episode – posted every Thursday – is just right length to listen to while on your way to work, to the track, or while you’re working out. Steve Spano joins me to talk about how we can use technology to drive faster, and specifically, the RaceVoice device he helped develop. This device plugs into your existing ECU and data system, and then provides auditory information to you – everything from corner entry and minimum speeds to when to upshift or whether your engine is overheating. I used the RaceVoice recently and absolutely love it, so I wanted you to learn about it. Richard Kelley joins me to talk about his experience of capturing some of the most incredibly powerful images of F1 drivers from 1972 to 1984. His photos of Niki Lauda, James Hunt, Jackie Stewart, Alain Prost, Nelson Piquet, Gilles Villeneuve, and others will connect with you and either make you smile, get goose bumps, or cry. His perspective as someone who has closely observed some of the best drivers in the world, as well as raced himself, make his advice about visualization, situational awareness, and sensory input hugely valuable to every driver. Dr. Shannon Irvine joins me to talk about mindset, confidence, mental triggers, fear…and so much more of the mental game of performance & race driving. We all know that the mental game is what makes the difference on the track – but what do we do about it? Shannon shares some deliberate strategies to help you improve your driving performance. Greg Woodrow joins me to talk about what makes those crazy Aussie V8 Supercar drivers so good, and specifically the training they have all had racing Formula Ford. We also talk about the state of motorsport in Australia, the advice that Luke Youldon and Bruin Beasley of Erebus gave during my Inner Speed Secrets seminar in Melbourne, and finally, some of the fun that we had together – and what we learned – when I was down-under recently. Randy Beikmann joins me to talk about the ideal line – the one that results in the fastest lap times – something that he’s been modeling from a mathematical perspective, and then relating to real track driving. What he shares will give you a deeper understanding of why you drive the line you do – or should drive the line you’re currently not! 102 – Mark Sternberg: F1, Karting, Karma, ADHD & Relieving Oneself! Mark Sternberg is on today’s show and we bounce around, talking about karting, Karma Automotive, the pros & cons of having ADHD, Formula One, Honda S2000s, and what to do when you need to pee. Mark is a life-long car and driving enthusiast who has turned his passion into a career. He helped re-launch the Peterson Automotive Museum, races karts, founded the L.A. F1 Fan Group, and currently works for Karma Automotive. Oh, and he’s in the process of launching a car-themed watch company called Heel & Toe Watches. Subscribe to the Speed Secrets Podcast and leave a review in iTunes. Since my first Speed Secrets book was published back in 1998, many drivers have asked about audio versions of them. They wanted to listen to them while driving to the track, to and from work, and while exercising. Some of the most educational, and fun conversations I have are at the track with a driver, official, coach, engineer, team member, or safety expert. I often wish I’d recorded those conversations so I could share them with you. If you have a suggestion of a topic or guest for the podcast, please send me an email.